Update: More details about Monday's hearing are beginning to trickle out as Canada expresses outrage over the fact that China just condemned one of its citizens to death, seemingly in retaliation for Canada's decision to arrest Meng Wanzhou, Huawei CFO and daughter of one of China's most respected corporate titans, at the behest of the US. WSJ reporter Eva Dou tweeted details from the hearing that seemed to only affirm suspicions that the hearing was rigged for political reasons. The judge barely took time to deliberate over the verdict, the prosecutors didn't offer many new details to justify the re-sentencing, and the main and only witness - purportedly a co-conspirator of Schellenberg's whom Schellenberg says helped set him up - barely looked at the defendant as he shared details about how the two allegedly conspired to sneak a shipment of methamphetamine into the country. The three judges took one hr to deliberate over 10 hrs of proceedings and supplemental statements. That's not much time to come to a consensus and write up the page-long statement read aloud by the chief judge. Schellenberg and his former friend Xu Qing each accused the other of buying drug-repacking tools and tires for hiding meth in, and trying to frame the other. Schellenberg said he was tricked into accompanying Xu. Xu said he was Schellenberg's translator. The 222kg of meth never left Dalian, as Xu blew the whistle to the cops. He looks to have gained immunity in exchange, though this was not clarified, despite requests from the defense. The warehouse was rented in Xu Qing's name. He wasn't charged. Little fresh evidence from prosecutors -- unsurprisingly as they had 10 business days to make progress on a 4-yr-old case. Still, they sought to substantiate a new charge against Schellenberg: participating in an international smuggling ring. The main new evidence was Xu's testimony and a call log from Schellenberg's phone to a man named Mai Qingxiang, who was later sentenced to a suspended death sentence for drug smuggling. Schellenberg said he didn't know Mai, that Xu used his phone to make the call. Xu's appearance in court was a surprise, as he didn't appear at the first trial or appeal hearing. He was the sole witness. Wore a black puffy coat, and avoided looking at Schellenberg. Despite the dozens of arguments presented by each side, and painstaking cross-examinations, objections, and counter-objections, the decision by the judges was quick and clear-cut. They rejected each of the defense's arguments one by one. Among foreign media, we were invited along with AFP and 联合早报. Don't know why. Open trials should theoretically be open to everyone. Tried asking people in the audience where they were from and why they'd come to the trial. Most wouldn't answer. Don't know why. But think if you found your own way there because you were interested in trials, you wouldn't mind saying. As was widely expected after a Chinese court ordered a retrial of Canadian national Robert Schellenberg on drug trafficking charges last month, the Canadian national has now been sentenced to death for allegedly smuggling "an enormous amount of drugs" into China. He had earlier been sentenced to 15 years. 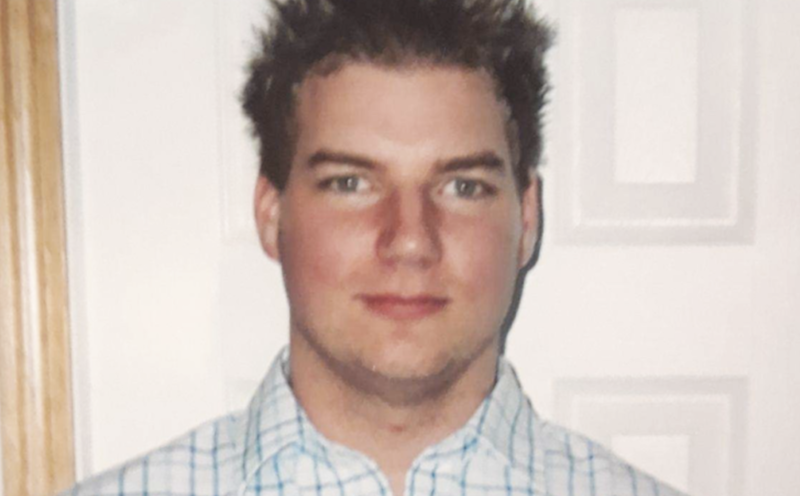 Breaking- Chinese state media: Canadian Robert Schellenberg sentenced to dead for drug smuggling after Chinese prosecutors appealed his 15-year original sentence. The harsh sentence, like the arrests of Michael Kovrig and Michael Spavor on vague charges of threatening national security (an investigation is reportedly ongoing, according to Chinese officials), is widely suspected to be retaliation for the arrest of Huawei CFO Meng Wanzhou (who is also the daughter of the conglomerate's founder). Few details about Schellenberg's case have been shared with the media, other than the fact that he was arrested in 2014, long before the Huawei dispute erupted. Canadian diplomats had reportedly been working with the Chinese government on the case. The retrial was ordered after Chinese prosecutors argued that Schellenberg's sentence was too lenient. In a report published late last week, Canada's Globe and Mail carried remarks from Schellenberg's family, who said they feared his life was being used as a bargaining chip in the international dispute. "There’s no way they are not using him as a pawn," said Lauri Nelson-Jones, Mr. Schellenberg’s aunt, in an interview. "And it’s just harsh. That’s someone’s kid. That’s someone’s brother and nephew. And to just say, ‘we’re going to think about ending his life now over this’ – it’s not warranted. It’s not deserved. It’s heartbreaking." A legal scholar and expert in Chinese law said Schellenberg's case was "almost certainly being manipulated. The case against Mr. Schellenberg "is almost certainly being politically manipulated," he said, although “in a much more subtle legalistic way than the other cases. It will bring more pressure on Canada but because it has been going on for a while, the Chinese have a more plausible legalistic defence." They pointed out that Schellenberg's trial and sentencing took four years, but his retrial and second sentencing took just two weeks. We imagine we'll be hearing more from Canadian Prime Minister Justin Trudeau about the importance of respecting the "rule of law" as Canada struggles - probably unsuccessfully - to secure Schellenberg's return.